To say that John Goheen is an award winning photojournalist, a pioneer in the industry, a visionary producer and a gifted storyteller is simply a warm-up exercise in describing a man whose work continues to awe and inspire us. The best videojournalists in the country want his way with a camera, news outlets clamor for his features, students choose an independent study so they can continue learning from him after they’ve taken all his classes, and people around the world in tragic circumstances have seen their lives become just a little less bleak because John has brought their story to light. For 37 years he’s been shaping the way video communicates, in news, programs, films and in the classroom. “I just like strong visuals, always have,” he says. John’s been a resident of Denver since 1977 when he was a reporter/photographer with KMGH Channel 7; he’s been freelancing, speaking and teaching since 1993. 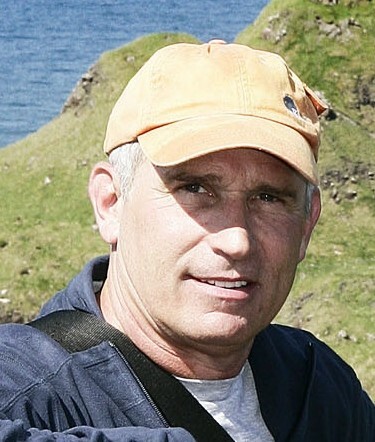 He was the NPPA’s Television News Photographer of the Year for three consecutive years, has earned 12 regional Emmy awards – including Journalistic Enterprise – and is the recipient of the Joseph A. Sprague Memorial Award, the highest honor in the field of journalism. He is reputed to be the King of Nat Sound. Name a network or news organization and he’s worked with them; name a major story and he’s been on the scene, in 85 countries and 6 continents; and he’s produced award-winning documentaries. Back in 1997 John helped create the NPPA’s Advanced StoryTelling Workshop and, since then, he’s never missed it, donating a week of his time each year to work with the students. Currently he is a full-time instructor at Loyola University’s School of Communications in Chicago. John understands the power of television to do good and change lives; he’s not just a journalist, he’s a human being who cares about people. His stories typify a sense of social consciousness and responsibility. He volunteered years of his time on a project to honor veterans, soliciting video from around the country to craft a program called ‘V-Day 11/11/11.’ He took a solo trip to Somalia to help focus attention on the horrendous conditions there, and his stories were the first to air on US network television. Last year he traveled to Kiberia, the largest slum in Africa, to tell a heartbreaking story of poverty through the eyes of the young. His work often points the way for humanitarians to follow and for viewers to become involved. Decades of work, thousands of stories and millions of lives touched: John is a treasure.